With more than 50 years of experience, BTE Communications is one of the oldest and most experienced call centers in California to specialize in serving the unique needs of those in oil field industry. We provide onshore and offshore oil drilling companies with 24-hour alarm monitoring and emergency response coordination, in addition to live phone answering, advanced voicemail, message taking and forwarding, virtual receptionist, and call forwarding services. These services are not only competitively priced, but they can also prove to be invaluable in the event of a disaster. To maximize the effectiveness of our alarm monitoring and emergency response services, we take the time to meet with each client to understand their specific risks and preferred response. For those who work on oil fields, as well as in other high-risk industries, a detailed protocol that specifies who will be notified in the event of the most common emergency scenarios (e.g. oil leaks, gas leaks, explosions, fires, smoke, carbon monoxide, radiation leaks, tsunamis, etc.) is critical to keeping damages to a minimum. To take some of the burden off of your company, your alarms can be set up to notify our call center via phone line or VOIP. When we receive a call on your dedicated line, your pre-approved protocol automatically populates on our computer screen and the answering agent receives a code letting them know what the emergency is. Our agent then follows the instructions provided; typically, this involves alerting emergency response teams and/or management, depending on the situation. In the oil field industry, fast and effective emergency response is mandatory. To help protect your workers, your work site, and the environment, work with BTE to monitor your alarms and coordinate your emergency response callouts. 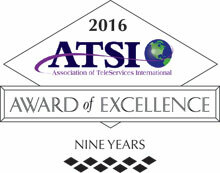 BTE Communications is a family-owned and -operated phone answering service with a reputation for excellence, personalized service, and competitive pricing. 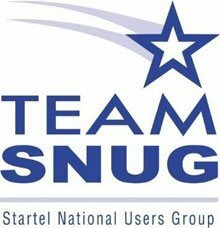 We are a member of ATSI (Association of Teleservices International) and keep up to date on the latest software and technology from SNUG (Startel National Users Group) to give our clients access to the best call center services available on the market today. Call today for a free consultation. Equipment Rental Service Your browser does not support the audio element.